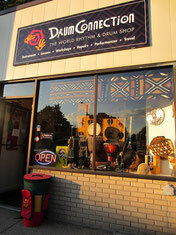 New England’s Premier Hand Drumming School serving the rhythmic community for over 20 years. The DrumConnection offers excellence in djembe and dunun instruction from private classes to exciting workshops and performances. The DrumConnection (Boston, MA) links students with a very specific part of our human heritage- the djembe drum music of Guinea. Guinea is just a small nation on the west coast of Africa yet it looms large on the world stage. The DrumConnection offers a unique experience into the rhythms of the continent. Our close ties to Guinea, West Africa and in association with Famoudou Konate, Mamady Keita and Mamady ‘Wadaba’ Kourouma, Sayon Camara, Billy Konate and Nansady Keita we bring you a rich heritage from the Homeland, the birthplace of the drums. Join us! 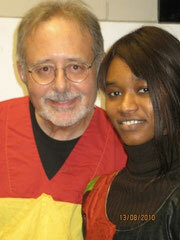 Travel to Africa (Guinea) planning and implementation, in-school drumming program ages 7 up, public and private school administration of percussion programs, healing with drumming (22 years experience) treatments with elder population, special needs children, kids at risk, depression, anxiety and more profound emotional and psychiatric conditions. Please ask for your specific needs. By car: You can easily find us about 0.5 mile from the Rt 16 intersection at Mass Ave where Cambridge becomes Arlington. Across from Lake Street (off Rt 2) and the Capital Theater. Directly across from the great restaurant, Flora. Parking: 2 hour free parking right outside our door on either side of Mass Ave. No spaces? Try a right-hand turn onto Winter St. and park on the Right. Or take Winter to the end, a Right on Broadway and your 1st Right onto Cleveland St. Go near the Mass Ave end and park on the Right or Left. Secret spots! Across the street from DrumConnection is Cambridge Savings Bank and a parking lot. You can park there till 9:30PM. Easy. There are other side streets and more parking on the Quebrada Bakery, Capital Theater side of Mass Ave. More secret parking as we find it. By MBTA: Take the Red Line to Alewife (the West end of the line). Walk the bike path to Thorndike Street and walk up Thorndike to Mass Ave. Take a Left onto Mass Ave and we are up on the Right about 4 blocks. Takes 13 minutes to walk and feels good! Or grab a bus from Alewife or Harvard Square. New Hours February 2017 : Tuesday thru Friday - Noon to 6pm. DrumConnection is both trademarked and copyrighted 1990. Any use of this name by others is prohibited by law.